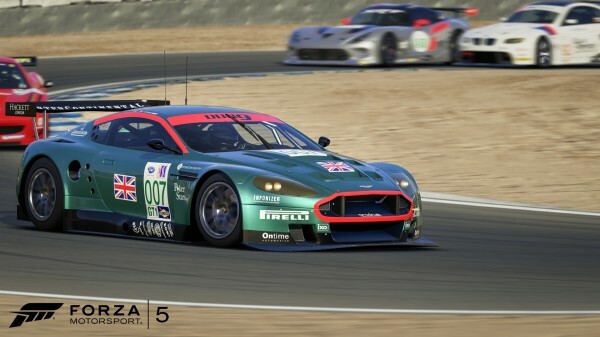 Forza Motorsport 5 has been launched alongside the Xbox One and is one of Microsoft’s biggest system-sellers for the console. Can it live up to the hype that Turn 10 studios has been generating all this time? Forza is a long-running series, having debuted on the original Xbox back in 2005. 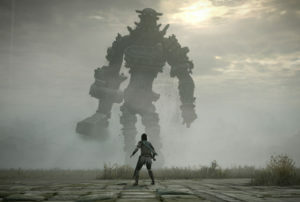 The first game in the series reached an incredible high score for a debut, standing today at 92/100 on the Metacritic ratings. For the first time, a genuine alternative to Gran Turismo appeared and the Xbox brand was all the better for it. Fast forward to 2013 and we’re officially in the next generation with Forza 5. The trailers show great attention to car and trackside detail and much better sound effects and engine notes than before. The game features quite a few new tricks up its sleeve thanks to the Xbox One’s cloud. One of these is Drivatars, which replace certain elements of the racing game’s AI when you’re connected to the internet. In a Driveclub-esque fashion you instead race against the lap times of other people at a similar level to you. As your skills progress in the game, so you’ll be pitted up against opponents with a similar level of skill and control. In a big change for the series as well, the game doesn’t launch with the full roster of cars and tracks. Turn 10 ships the game with fourteen (14) track locations and just over 200 cars at launch. Car Pass packs can be bought that ensures you’ll get future DLC and new cars similar to the way Season Passes work on other games. In addition, car packs can be bought separately on the Xbox Live store. Over time, Turn 10 promises you’ll have the full roster of cars and tracks available online – you’ll just have to pay for them above the price you already paid for the shipping game. So how does Forza 5 tally up with the critics? Below are review scores and bottom-line verdicts from some of the reviews available online. The really important things to note here, however, is firstly the idea that Turn 10 had to tackle the eternal conundrum of making AI less predictable, and secondly combining this game with the features of the new controller, namely the rumble triggers. 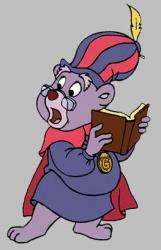 The former is perhaps the greatest innovation in its genre of all time. It is not yet where it needs to be, where you no longer distinguish AI and human drivers. But it’s the best decision because allowing the AI ​​to learn from the drivers has never been done so seamlessly. Forza 5 is the new king of the hill. 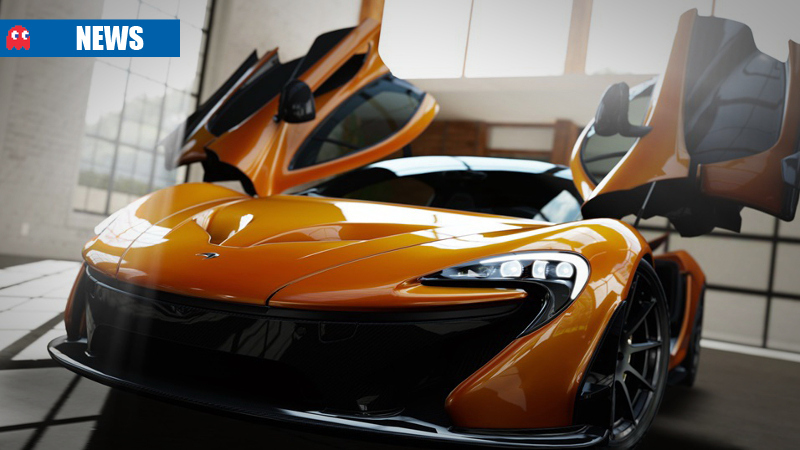 Forza Motorsport makes its next-gen debut in stunning style, with great gameplay and superb visuals that show off the Xbox One’s capabilities in impressive fashion. 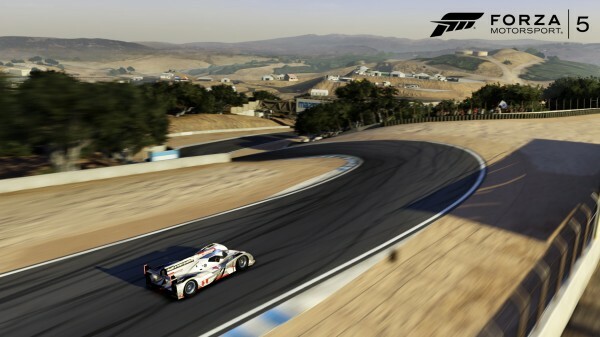 The pros vastly outweigh the cons, and if you’re a racing fan, Forza Motorsport 5 may be a system seller. Even if you’re unfamiliar with racers, the gameplay holds your hand for long enough to get you into the action without being condescending, and if you’re just a graphics tart, you have to check out Forzavista at least once. I wasn’t far into Forza 5 before I was swearing at my television, cursing the virtual representations of my friends for their on-track behavior. The Drivatar system leads to AI that is irritatingly, competitively human. Racers bumped, collided, nudged and generally played dirty. The first turn in most races was a calamity. 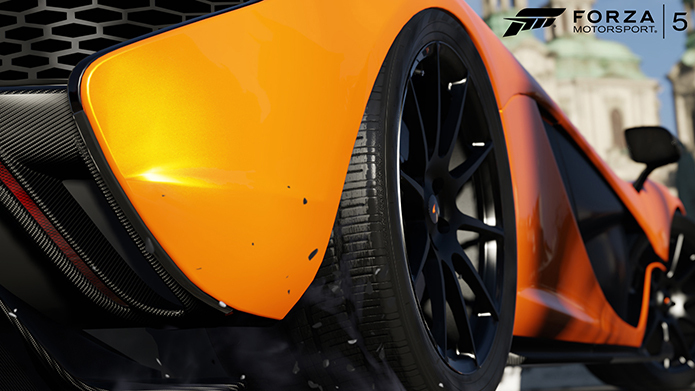 Forza 5 is beautiful, sure, with a stunning, light-filled world of engines and tire smoke. 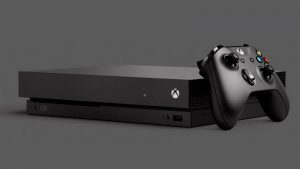 But with the introduction of aggressive, convincing AI that makes every offline race feel like a multiplayer competition, Turn 10 has charted a course for the future of the series — and created the Xbox One’s first must-own game. Ultimately Forza Motorsport 5 is an experience built up around these cars, often legends in and of themselves. From the gorgeous detailed car models to the Top Gear narrated introductions to the cars themselves, it’s honestly a little infectious and I understand more about why these driving sims exist after playing. Driving doesn’t just need to be a chore. If you like realistic race simulations, this is the game for you. There’s a pleasant lack of pressure to come in first, as most races prove lucrative with any placement, and even more rewarding if you increase the level of realism and difficulty of those damned cloud people. And if you’d just like to take it easy and have the car drive itself, that’s totally fine too. Progression in Forza 5 is too pleasant and assured to feel like a grind. Some say the Stig is also represented somewhere in the game … though it’s probably too nice to be his Drivatar. Forza 5 is gorgeous and smooth as butter, and its utterly enchanting handling makes it a joy to drive hard, but this game is more than just a rock solid technical titan for the Xbox One. It’s an essential destination for the automobile obsessed. It may be lighter on girth than where we left off last generation, and still lacking much-requested features like night racing and rain, but wrestling a car through some of the world’s most legendary corners at the very limits of adhesion has never looked or felt this good on console. 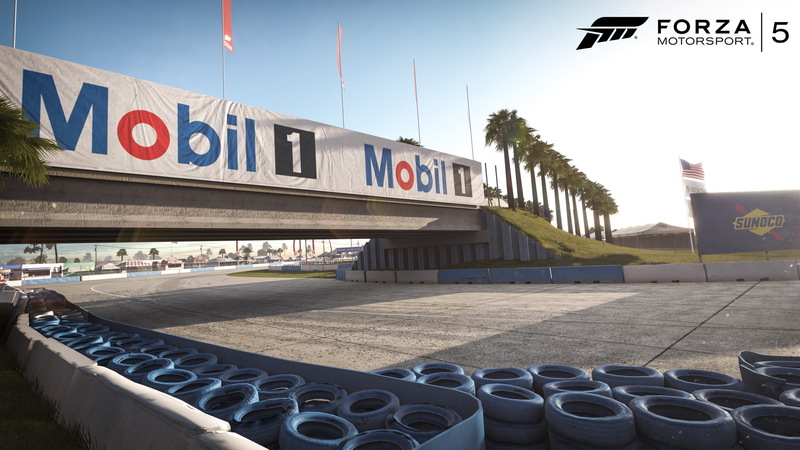 Even with all of its visual wow and cloud features, Forza 5 feels like there should have been more to it. In some ways it feels like an incremental content update with brand new visuals. Maybe more tracks would have helped. Or maybe some kind of underlying progression in the career mode would have made a difference. But, at the end of the day, the racing is what matters. And with this game, the racing is fantastic, and Turn 10 is really onto something with this Drivatar stuff. It alone gives Forza Motorsport 5 something over every other racer out there, pushing the genre forward. They’ve remedied the racing genre’s biggest problem: scripted AI cars. VGX 2013 Award nominees – best games of the year?